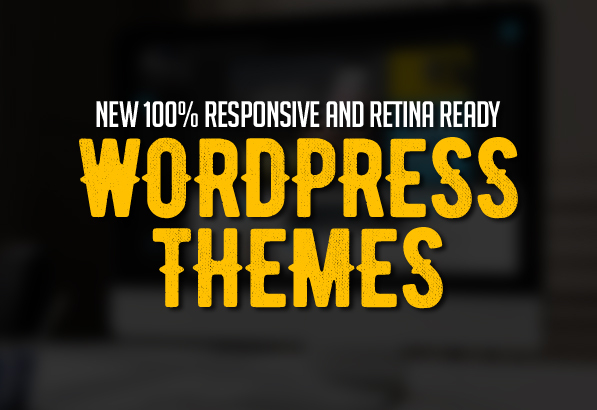 Amazing WordPress themes are built on Bootstrap 3.0 with clean and HTML5 code which makes 100% responsive and retina ready. Responsive WordPress themes are perfect performance of all the page layouts, a beautiful interface on all devices, from large screen to mobile devices. All themes are SEO ready and widgets are integrated, drag and drop layout manager which allow you to create custom layouts, configuration elements for your content and much more that you do not have to modify code. Are you looking for an elegant, powerful, and incredibly versatile WordPress themes to set up a website? Here we are gathered stunning, responsive design, fully customizable, Retina-ready web solution designed to take your online store, blog, or portfolio to the next level. Hudson is designed to provide elegant solutions for businesses and individuals. Create an amazing website today with the Hudson theme for WordPress. Installing Hudson is quick and easy. Thanks to the one-click demo import option, you can create a fully equipped and ready-to-go website in just a matter of minutes. Finanza is a clean responsive WordPress theme. It is especially designed for Business, Financial Advisor, Accountant, Law Firm, Wealth Advisor, Investment and general corporate website. This theme comes with super powerful page builder which allow you to create your site using drag drop ability. It comes with necessary feature for your website such as blog, portfolio, testimonial, personnel, etc. Spinner is a modern,creative WordPress Theme with Overlapping sections,Visual Composer,WooCommerce integration and lots of features. New Corporate WordPress Theme Sodiss Modern Corporate WordPress Theme . It is clean & responsive WordPress Theme and Woocommerce theme. With the outstanding features it is great, professional and easy to use. You can use it for a variety of websites such as Corporate, Business, Photo Studio, Freelancers, Portfolio Theme, Masonry blog, Modern events, Creative Agency etc. CoPro is a very professional yet super-easy to use theme, here is some key features of CoPro: Tons of Shortcodes with a lot of variations, Fun, Super-Easy & Flexible to use, Powerfully Responsive, Many options for Shortcode Usage: Page Builder & Shortcodes Manager & Shortcode Lists Pack. Wizard is a full page responsive WordPress theme packed with features! Perfect for creatives, professionals and personal websites. Build your content with the powerful Visual Composer page builder plugin. Setup your site easily by importing of the 6 preview data files included with Wizard. 6 different homepage styles have elements allowing you to create your own stunning homepage. Thunder is a super flexible premium WordPress theme for creative professionals, agencies, content creators and photographer. It can be used for personal or professional purposes. The theme was designed in a clean and minimalistic style. It is very flexible, easy for customizing and well documented. Cinderella WordPress Theme for Beauty, Hair and SPA Salons is the product which has been made especially for Small Businesses in Beauty Industry. It has the capacity to equally fit a Single Local Salon as well as a Network of Salons with Multiple Locations.